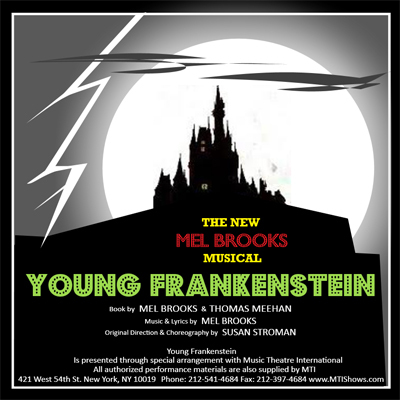 Right on the heels of Parade I will be performing in the musical adaptation of Mel Brooks’ Young Frankenstein (that’s FronkenSTEEN! 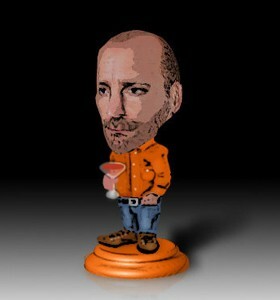 ), appearing as the good doctor himself. Whereas for some of the other shows I have struggled a bit to come up with themes for drinks (see the aforementioned Parade) with Young Frankenstein I hit on my theme almost immediately — an electric jolt of creativity, if you will. I had recently visited Sydney on business and enjoyed a number of the bars I found in the city. At a couple of establishments they employed smoke and fire and other additional elements for drinks that I had yet to experiment with at home. I wanted to play a bit of a mad scientist with my drinks for Young Frankenstein, as would be fitting, and was inspired by what I saw and tasted. Upon returning home I immediately ordered my Smoking Gun and a chef’s torch and played. I wanted to go all molecular gastronomy on some cocktails, but liquid nitrogen scared me (cost aside, reading stories about stomach linings destroyed will do that to you) and turning drinks into gelatins or foams didn’t really appeal. That was OK, though, because I could still incorporate some less-than-common elements into some drinks and follow my theme through.